McCain tweets she is sorry for anything that distracts from see something, say something. 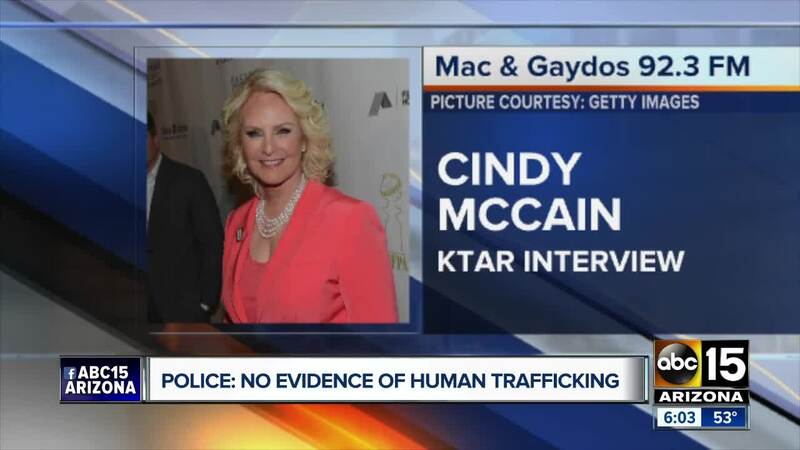 Phoenix poilce say they found no evidence of human trafficking at the city's airport after Cindy McCain, the wife of late Senator John McCain, recounted a story of stopping a child from being trafficked . According to The Daily Beast , McCain was quoted as saying she was concerned because the woman and child were of "different ethnicities." Police said Wednesday that they went to the airport to investigate, and found "no evidence of a criminal conduct or child endangerment."